To book an initial appointment simply call 01454 85 44 66. 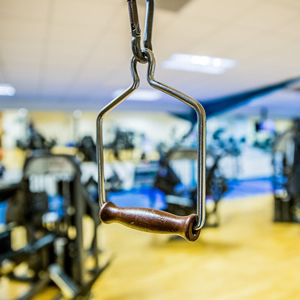 A member of our friendly Team at The Physio Clinic will assist you with your booking. Our team are hand to answer any questions or concerns you may have about booking with us. We will also make sure you get to see the best person to help you achieve your goals. 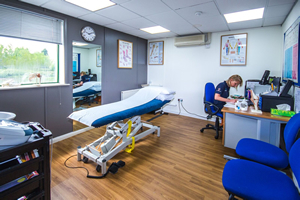 At The Physio Clinic Bristol, we really want to get to know as much about you as possible before you even arrive for your first session. We want to ensure you get the best possible advice, information and treatment on your road to recovery. You can also book and manage your appointments online. We do not have a waiting list and will offer you the first available appointment (possibly that same day). Evening appointments can get booked up well in advance. Should you wish to see a specific therapist it may not always be possible to be seen within 24 hours although we will always try our best. You may choose to book your appointment online, by clicking on the link below. Registration is easy. If you’ve seen us before and we have your email address on file, you should be able to register too. However, if we don’t have you email address on file you may not be able to register successfully and link your profile. Please give us a call if you are having problems. If it’s not convenient right then, we can arrange a time to suit you. By understanding more about you, your particular problem and what it is you are looking to achieve, we can ensure you see the best person for the job and your road to recovery gets to starts straight away. In all cases we will endeavor to book your appointment at a convenient time to suit you. There is no waiting list, however early morning and evening time slots do get booked quickly in advance. If you would like to talk to a Physio about a specific condition or you have a question which reception cannot help with (e.g. to enquire about BUPA or AXA PPP provider status) please leave a message and one of our therapists will call you back to talk things through. For appointments at Frome Valley please call the surgery directly on 01454 772153. The surgery reception team will make your appointment to see the Physiotherapist. We offer Physiotherapy appointments on a Wednesday afternoon ONLY at the surgery.